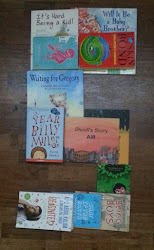 One story a day : Reliving childhood: Just go to Bed! So today I read a book titled “Just go to bed” a Little Critter’s story by Mercer Mayer, a book you will simply love as it’s a story of every parent of a young child! Little Critter is no mood to call it a day and continues to engage in pretend play. He is a cowboy rounding up the cows when his daddy asks him to come inside and get ready for bed. He then becomes an army general playing with his military set and his father joins in pretending to be his superior ordering him to take a bath. He then turns into a space cadet to zoom to the moon when the space cadet gets captured by the giant robot ( his dad) only to put him in a bath tub. In the bath tub, Little Critter doesn’t stop playing with his bath toys, pretending to be a sea monster, when his father asks the sea monster to feed on his snack. Feeding his toy animals instead, he takes on the role of a zookeeper when the zookeeper’s father hands over his bunny pajamas. But instead of slipping into his pajamas, Little Critter is seen playing with his train as a train engineer being chased by bandits. Donning a bandit’s mask, his patient dad lifts him up to help him put on his bunny pajamas, when he speeds off as a race car driver. With his patience waning, his father announces with a stern voice that the race is over and its time for bed. But Little Critter puts on his pajamas and hops into the living room as a bunny expecting his dad to join him in the late night banter. At this point, his dad has had enough and is visibly angry with him when he asks his little tormentor to “Just go to bed”! When he is finally in bed, fighting to open his eyes, his parents peep into his room and quietly wish him good night! Well…..we’ve all been there….done that…..and some like me are still doing it!!! !